In season one of WorkParty the podcast, we discussed the legalities behind starting an LLC, the do’s and don’ts of rebranding your business and why we should all take our creativity much more seriously. Sophia Bush gave us the inside scoop on how she puts collaboration over competition on a daily basis. Barbara Corcoran gave us her shark tank approved tips on pitching a business to investors and Phoebe Robinson let us know how she moves past the haters online and channels resiliency at all times. What’s next for season 2 of WorkParty the podcast? You tell us! Submit a topic or two in the form below and we’ll find the perfect guests to discuss them with in season two of WorkParty the podcast! Thank you for submitting your WorkParty question for our bonus episode! 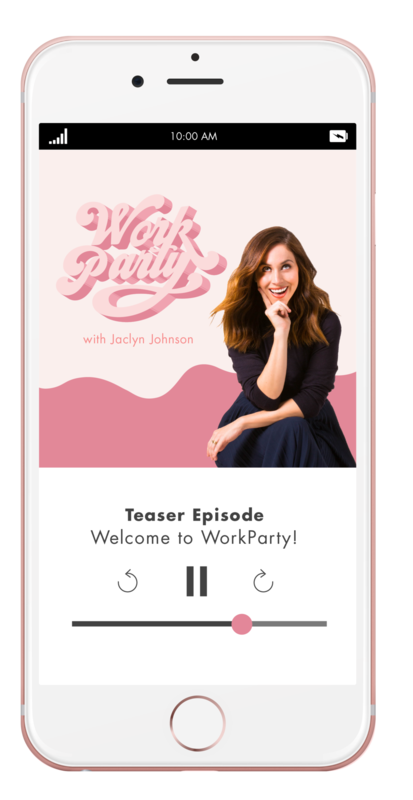 Stay tuned to the podcast and follow along with us on social @workparty in the meantime! Not caught up on season one of WorkParty? Check out our season one recap to find out which episode was made for you!